Two new sets….. 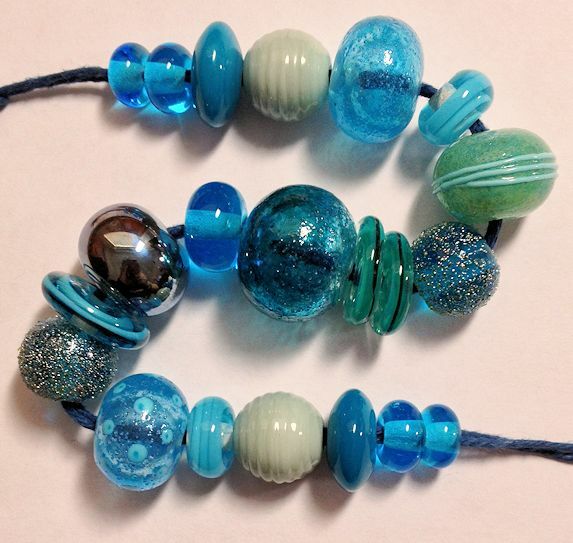 This set has five hollow beads, used transparent enamel on them and boiled it a bit to give them a rustic look. 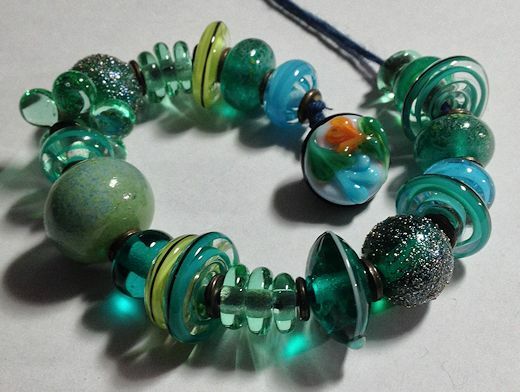 The first time I made these I used different glass and all the beads came out of the kiln cracked due to incompatibility between the glass and enamels. Oops. This was the set that had all the cracked hollow but I made enough extra beads and added some that I made previously for this set. It’s also got a shank button.